Sure, there's the odd movie, music or TV reference here, but for the most part, this poster by artist Slovenian artist Matej Jan is one giant who's who of the heroes of the video game world, past and present. Go on, look closely. 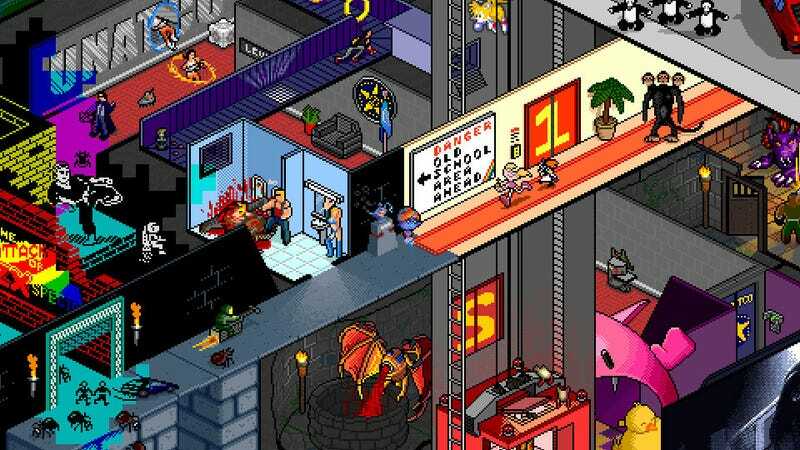 Everything from Deus Ex to Day of the Tentacle is there, via Mirror's Edge and Sam & Max. What's cooler than looking at it on a screen? Buying it on exquisite canvas print, which Jan is offering on his site.